Craig's Photographic Journeys and Ramblings: Transition...to film??? 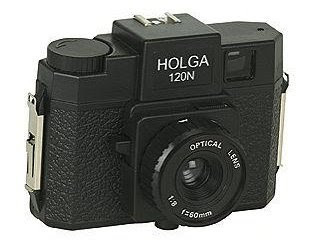 Yesterday I went out and purchased a Holga medium format toy camera. The thing is made entirely of plastic including the lens. With it I purchased a roll of Ilford ASA 100 black and white film and so far I've taken 10 shots which leaves 2 shots on the roll. Focusing is mostly guesswork and really, you aren't going to expect super sharp shots from this camera anyways. Infinity will pretty much get everything in sharp focus provided the subject is about 30' away from you. One of the shots I did was of the bus stop sign where I grab the bus from Brentwood to home. I am guessing that if I am standing underneath the sign that's a little bit less than 30'. In the digital world (heck even with a decent point and shoot film camera) it will actually focus for you. With the Holga you have to figure out your focus. Scratch that one up to experience I guess. An interesting point to note. My red filter with the step up ring fits nicely over the lens of the Holga. I'm quite curious how it affected the shots since the whole point of a red filter is primarily for black and white photography. Posted by Unknown at 7:44 a.m.